Students in the MFA program are invited to become involved in the production of the UNH online literary journal, Barnstorm. Barnstorm was founded by MFA graduate students and continues to be entirely student run under faculty advisor Tom Payne. The position of Editor-in-Chief pays a stipend of $3,500 per year. While we do not adhere to a particular style or manifesto, Barnstorm strives to publish the best poetry, fiction, and non-fiction. Previous contributors include both renowned and emerging writers. Barnstorm also publishes weekly literary columns from our staff via our blog. To learn more about Barnstorm and its publications, visit our website at barnstormjournal.org. A paid, year-long internship at one of New England’s premier arts organizations—The Music Hall’s two literary series, Writers on a New England Stage and Writers in the Loft, employ an MFA student to assist in marketing and production. This is a great opportunity for a literary- and marketing-minded student with sharp writing and interpersonal skills to further develop their skills and resume while working with the Music Hall’s award-winning professionals. The PMH intern engages in a wide range of marketing and event activities, from press release writing and blogging about authors to distributing collateral including posters, as well as researching specialty markets and occasionally going out to pick up a sandwich for the author on an event night. 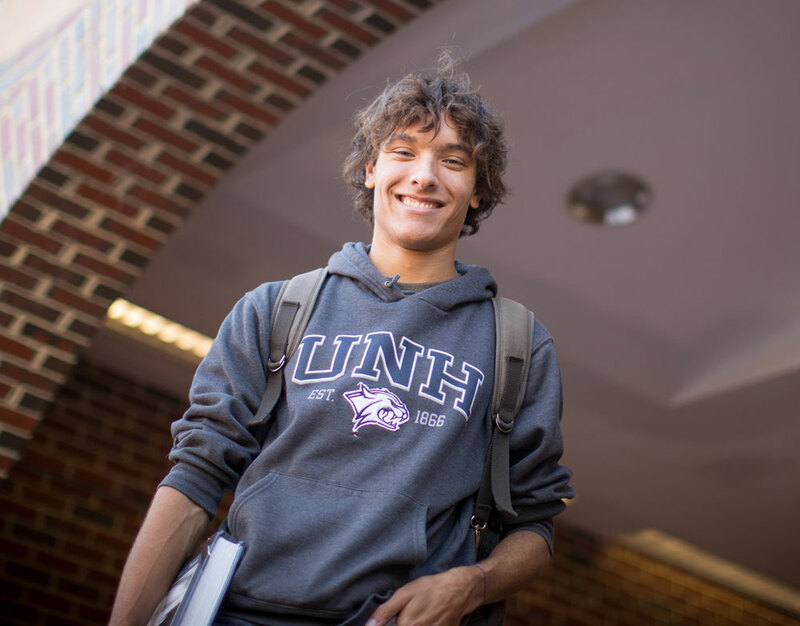 The position pays $4,000 for the year, and is funded through the generosity of an anonymous UNH alumnus. Visit the Writers on a New England Stage website. 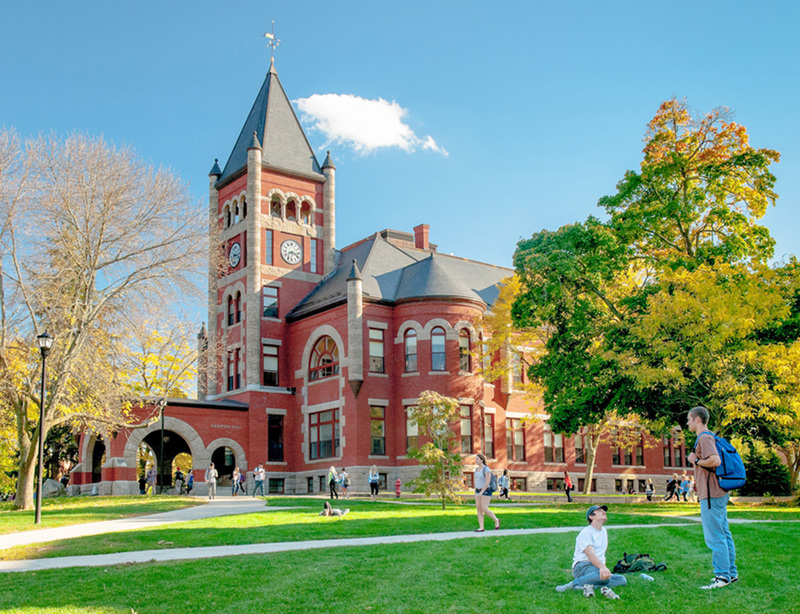 The UNH Office of Research Development and Communications offers a number of internships to graduate English students each year. Interns work an average of at least 10 hours per week over the course of the year (a minimum of 500 hours for the entire year), including the summer. The yearly salary is approximately $6000. Intern responsibilities include reviewing and editing grant proposals to federal funding agencies such as the National Science Foundation and the National Institutes of Health, writing communications pieces on behalf of the Research Office, and working with graduate students applying for federal funding. Interested candidates should possess excellent writing/editorial skills. Professional experience as a writer/editor is a plus. The positions are open to both current and incoming students, and applications are accepted in late April/early May. Because this position is funded with Work Study funds, you must have filed a FAFSA form in order to apply. Students holding Teaching Assistantships may not apply for this position. Read Free or Die is a monthly reading series created and hosted by the students of UNH's MFA program to showcase writing from across the genres. Traditionally held once a month in the upstairs of The Press Room in historic downtown Portsmouth, NH, the series provides an intimate space and the opportunity for MFA students to share both voice and craft. Each reading features two poets, two fiction writers, and two non-fiction writers. Read Free or Dieis a free event. For more information visit the Facebook page for the series. February, 2017: MFA Success Story: Kaely Horton's (MFA '18) short story "Canvassing" will be published in May's edition of RipRap. Kaely also wrote an article on teaching which is the first runner-up for the Donald Murray Prize and is getting published in the spring issue of Writing on the Edge with commentary from Peter Elbow. May, 2017: Congratulations to Ben Ludwig (MFA 2017) on the publication of his novel Ginny Moon, Park Row Books, May 2017! May, 2017: Brian Evans-Jones, Poetry MFA 2016, has won the poetry section of the 2017 Maureen Egen Writers Exchange Award from Poets & Writers. May, 2017: Alix McManus's (MFA Fiction) short story "Rosemary and the Red Pens" was recently published in Gravel Magazine. The story can be read at http://www.gravelmag.com/alix-mcmanus.html. Congratulations, Alix! April, 2017: Rose Whitmore, Fiction MFA 2013, won a Stegner Fellowship at Stanford University, 2017. February, 2017: Amy Sauber (MFA '14) wins Pen/Robert J. Dau Short Story Prize for her story "State Facts of the New Age". Information about the prize can be found at https://pen.org/2017-penrobert-j-dau-short-story-prize-emerging-writers/ Congratulations, Amy! November, 2016: MFA Success Story: Brittany Smith's story 'The Fruit Grove Girl' gets published in The Bangalore Review. The story can be read at http://bangalorereview.com/2016/11/fruit-grove-girl/ Congratulations, Brittany! February 2016: Benjamin Ludwig's FOREVER GIRL, pitched as The Curious Incident of the Dog in the Nighttime meets Room, told from the perspective of an adopted autistic teenage girl who's plotting to get herself kidnapped by her birth mother, pre-empted by Liz Stein on an exclusive 3-day submission, in a major deal (WE) by Jeff Kleinman at Folio Literary Management; translation rights with Molly Jaffa at Folio Literary Management. September, 2015: Congratulations to UNH's very first student to earn her MFA in Writing almost 10 years ago! Midge Goldberg recently published a children's book, My Best Ever Grandpa, with Azro Press of N.M. The book was illustrated by Valori Herzlich. Here's s a link to the publisher's announcement page: http://www.azropress.com. May, 2015: Much congrats to Sonia Scherr, MFA ’13, who has been awarded a Fulbright Fellowship! Scherr, who was an alternate in the competition last year, will conduct research in Morocco in order to write a historically informed Young Adult novel about the relationship between Jewish and Muslim Moroccans during the Holocaust. January, 2015: Benjamin Ludwig's book, titled "Sourdough" won the Clay Reynolds Novella Prize from Texas Review Press. The book is for sale on Amazon http://www.amazon.com/Sourdough-Benjamin-Ludwig/dp/1680030140/ref=sr_1_1... Congratulations, Benjamin! November, 2014: Congratulations to Caro Clark (MFA '13) who recently received a McDowell Fellowship for the spring! September, 2014: Congratulations to Bryan Parys (MFA '10) for landing a job as an editor/writer at Berklee College of Music in the department of digital strategy and communications. Bryan also recently signed a contract to publish his thesis with Cascade Books. More details to come! August, 2014: Craig Brown (MFA '11) published an article in Dispatch Magazine called "Cruising the Coast: Three Days Sailing on the Victory Chimes, America's Windjammer". A scan of the article can be found at /sites/cola.unh.edu/files/media/Dispatch_-_Cruising_the_Coast.pdf. August, 2014: Rose Whitmore (MFA '13) recently had an essay published in The Sun, and was awarded a work-study scholarship in non-fiction to the Bread Loaf Writer's conference. July, 2014: Maria Chelko's (MFA '10) poems have appeared in these journals: The Ampersand Review, Anti-, Birdfeast, The Freeman, Revolver, Sixth Finch, and Washington Square Review. She was also awarded a scholarship to the Bread Loaf Writers' Conference this summer. April, 2014: Caro Clark (MFA '13) won the Luso-American fiction scholarship to attend the Disquiet International writing conference in Lisbon this summer. You can read about the conference here: http://disquietinternational.org. The scholarship pays for transportation to and from Portugal and all fees associated with the two-week program. Caro will have the chance to work with Denis Johnson, Josip Novakovich, Padgett Powell, and others while there. And in further good news: Glimmer Train also picked up one of her stories stories recently. October, 2013: Jennie Latson '13 signed a contract with Simon & Schuster for her book The Boy Who Loved Too Much. This tale of a boy with Williams Syndrome, the so-called "friendliness disorder," and his mother was her MFA thesis project. For over two years she immersed herself in the lives of the two, traveling with them to Michigan for a summer camp, spending weekends with them in their Connecticut home, monitoring how this child who knows no skepticism, loves everyone, navigates a world that requires caution. The book will be published in early 2015. September, 2013: Rose Whitmore '13 (fiction) has won the William Peden Prize from The Missouri Review for her short story "The Queen of Pacific Tides." Learn more. September, 2013: Jeremy Parker, a new MFA student this year, was a semi-finalist in the 2013 Raymond Carver Short Story Contest run by Carve Magazine. Out of over 1,000 submissions, the editors chose 5 winners, 5 honorable mentions, and 23 semi-finalists. July, 2013: Laurin Becker Macios, MFA poetry alum, is the Program Director for Mass Poetry, an organization supporting poets and poetry in Massachusetts. Her poems have recently been published in 34th Parallel, Pif, and Five2One Magazine. In Sept. 2013 she will be spending two weeks at the Martha's Vineyard Writer's Residency in Edgartown. July, 2013: Alan Schulte, MFA nonfiction alum, was hired for a permanent, tenure track position at Franklin Pierce University as Assistant Professor of Composition and Director of the Wensberg Writing Center. He is also the Faculty Adviser of Nevermore, the University's Literary Journal. June 2013: Congrats to recent grad Erin Somers, who is featured in "Writing Lessons" on the Ploughshares blog. "Writing Lessons" features essays by writing students about lessons learned, epiphanies about craft, and the challenges of studying writing. You can view Erin's post here: http://blog.pshares.org/index.php/writing-lessons-erin-somers/. March 2013: Congratulations to David Bersell, who has been awarded the much coveted nonfiction scholarship to the Tin House Writer's Workshop this summer. David will spend the week working with Cheryl Strayed, author of the memoir Wild and the Rumpus column Dear Sugar. Quite the coup for David and well deserved. January 2013: Emily Robbins Bradley, MFA nonfiction alum, was hired at the New Hampshire Institute of Art as their "Instruction and Reference Specialist" in their college library. She also teaches composition there. She had a short essay featured on the video series "In Place" which is part of the larger online journal "Extracts: Daily Dose of Lit." January, 2013: Kristina Reardon, MFA fiction alum, was awarded the 2012 Aetna Works-in-Progress Grant for a short story collection, awarded by the UConn Department of English. She was also awarded the 2012 Tinker Foundation Pre-Dissertation grant to translate fiction in Buenos Aires, Argentina. Her translations of the short story "The Surprise" by Lili Potpara (from the Slovenian) & "The Vision" by Carmen Boullosa (from the Spanish) are published in World Literature Today (September 2012). She also has an essay on literary translation published on WLT's "Translation Tuesday" blog. Both links cane be found below. January, 2013: Dustin Martin, MFA fiction alum, was hired as a staff assistant to the Donor Relations team for the Faculty of Arts and Sciences at Harvard University. January, 2013: Sarah Stickney, MFA poetry alum, has publications in Rhino, and Portland Review. In October she acted as a simultaneous French interpreter for the Megaflorestais international forestry conference. She was recently hired as a tenure-track professor at St. John's College in Annapolis. January, 2013: Alan Schulte, MFA nonfiction alum, landed a position as Visiting Assistant Professor of Composition and Director of the Wensberg Writing Center at Franklin Pierce University. He has also been assigned as Faculty Adviser of Nevermore, the University's Literary Journal. January, 2013: Edward Manzi, MFA poetry alum, had poems published in Brush Fire, Paper Nautilus, and The Bakery. He also had a poem nominated for the Pushcart Award. November, 2012: Jennifer Latson, a 3rd-year MFA in nonfiction candidate, has a BIG story in the Nov/Dec issue of Yankee magazine. The subject: Tuttle's farm in Dover, told from Lucy Tuttle's point of view. The story began in an essay writing workshop, was revised in Sue Hertz's people and place workshop last spring and sent to Yankee in the summer. They loved it! August, 2012: Tim Horvath, MFA alum, landed a full-time teaching gig at the New Hampshire Institute of Art. He also just published his latest, a collection of short fiction called Understories. June, 2012: Rose Whitmore, a fiction MFA who will graduate in May '13, has THREE success stories! Her short story "The Queen of Pacific Tides" will be published in the summer issue of The Missouri Review and her essay "The Lost Coast" will appear in Fourth Genre. Rose has also been accepted to the Bread Loaf Writers' Conference this summer. Nonfiction MFA Jennifer Duffy has also been accepted to Bread Loaf. June, 2012: Jennifer Latson, a nonfiction MFA who will graduate in May '13, will publish "Blood Ties to the Land," a nonfiction narrative about Tuttle's Farm in Dover told through 67-year-old Lucy Tuttle's point of view, in the December issue of Yankee Magazine. June, 2012: Alan Schulte, a nonfiction MFA who graduated in December '11, has published his essay "The Point of Failure" in the online journal Junklit. April, 2011: Ryan Flaherty, MFA '10, has published a new book of poetry, What's This, Bombardier? He also has a poem featured on BOMBlog Word Choice. February, 2011: Kristina Reardon's (MFA Dec. 2010) essay White Goddess Ghosts will be published in the Montreal Review. Kristina wrote the piece for her UNH travel writing class last summer in Cambridge, England. February, 2011: Bryan Parys (MFA ’10) won a Fair Trade essay contest, which awarded him $2,000 in fair trade goods. He was also named a contributing scholar for a new online publication called State of Formation. Most recently his article “Superman of the House” was published by the Gooden Men Project Magazine. November, 2010: The World after Czeslaw Milosz, a chapbook by Maria Chelko, MFA ’10, won the 2010 Dream Horse Press National Chapbook Contest. Dream Horse Press will publish the book in the Spring/Summer of 2011. May, 2010: Marla Cinilia was awarded a Bread Loaf Writers Conference scholarship based on the merit shown in her fiction. Only 12 spots are available for the conference, chosen from a pool of hundreds nation-wide. May, 2010: Kristina Reardon and Sarah Stickney have received prestigious Fulbright Scholarships that will provide them support to conduct research abroad during the 2010-11 academic year. Learn more. February, 2010: MFA nonfiction writer Nathan Webster has had his thesis accepted for publication by The Truth About The Fact: International Journal of Literary Nonfiction (Loyola Marymount University, LA). "Suspicions, After Curfew" is slated for publication in the Spring 2010, Volume V Number I issue. Here’s what the editors wrote to Nathan: "We received hundreds of submissions from the international literary community, including impressive narratives about life in South Africa, Sri Lanka, China, Canada, Great Britain and the United States. Your work was one of only 21 pieces selected." February, 2010: Jason Tandon, MFA ’07, was pleased that Garrison Keillor read one of his poems from his book Give Over the Heckler and Everyone Gets Hurt on The Writer’s Almanac. February, 2010: Emily Robbins, MFA ’11, published her essay “The Way Home” in the Northern New England Review, Volume 31. January, 2010: MFA nonfiction writer Ryan Flaherty recently published two chapbooks, Live, from the Delay and Novas. He also has poems coming out this spring in three journals: Colorado Review, Ninth Letter, and Handsome. He has also been awarded PEN New England's Discovery Award in Poetry. Each year, established authors sponsor newcomers in their field and this year poet Peter Covino selected Ryan and will introduce him at the 31st Annual Discovery celebration. The award is based on the promise of the discoveree’s potential. October, 2009: MFA student Bryan Parys published "The Last Word or, The Eternal Present Tense" in The (Non)fiction 500 section of the journal Like Water Burning. June, 2009: MFA fiction writer Kristina Reardon, who will enter her second year in the program this fall, has published two stories, "Easter 1941" and "A Bit of Kindness," in the New Voices section of the summer edition of the Newport Review: http://www.newportreview.org/?new-voices/kreardon.html. Kristina has also won a scholarship from the Centre for Slovene at the University of Ljubljana and will spend the month of July there this summer researching material for her thesis manuscript. February, 2009: MFA poet Maria Barron won the 2009 LUMINA Poetry contest. LUMINA is a literary journal published by Sarah Lawrence College. The contest was judged by poet, Ilya Kaminsky. Maria's poems placed both first and second, earning Maria the invitation to read at Sarah Lawrence in April. February, 2009:MFA poet Mark Gosztyla crossed genre lines into nonfiction when he stumbled into a story about two 50-year-old unsolved murders in Somersworth, NH. For over a year Mark pursued the mysterious deaths, both on his own and in nonfiction workshops, publishing a series in Foster's Daily Democrat in June of '08. That series, titled “Shame and Silence,” won first place “for highest achievement in investigative reporting” in New England Press Association’s 2008 Annual Better Newspaper Contest.